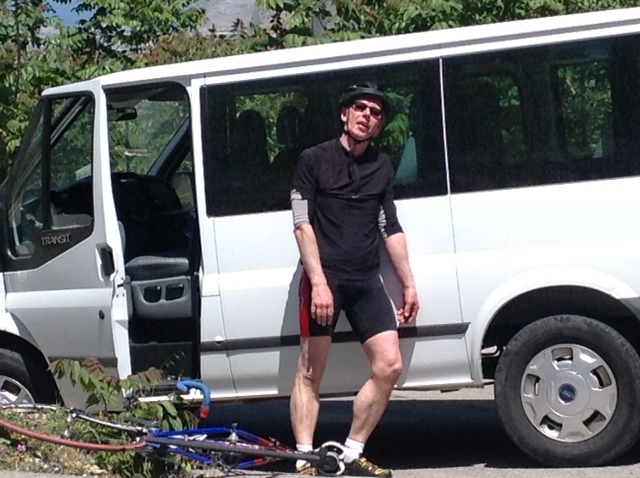 Let me get this straight… A ride up that climb in this air conditioned, shiny, white Van was an option from the beginning?!? So auguri Tricia, you have won a Polar Bottle! I’ll contact you as soon as possible! You’re welcome! I’ll send you the bottle as promised and I’m looking forward to welcoming you in Sicily for the Giro dello scorpione!